6.18.13 | Oh Look! It's A Blog! More Summerfest goodies today as well as a new furniture release from Fanatik! I love the new tops from [Decoy] available at Summerfest. You can mix and match the halter and the tube top if you choose to get multiple colors. I played with lots of options but I kept going back to this orange/cream combo. In regards to the furniture items, Fanatik recently released a pool furniture set, which I felt worked just fine as beach furniture too. Each item has a texture change option using a HUD ( all items use the same HUD, you just select which item you want to change the texture and it will only change one at a time ) so you can mix and match the fabrics and umbrella or just have a matching set. There are multiple patterns and color themes to choose from. This entry was posted in Uncategorized and tagged !Ohmai, (Elate! 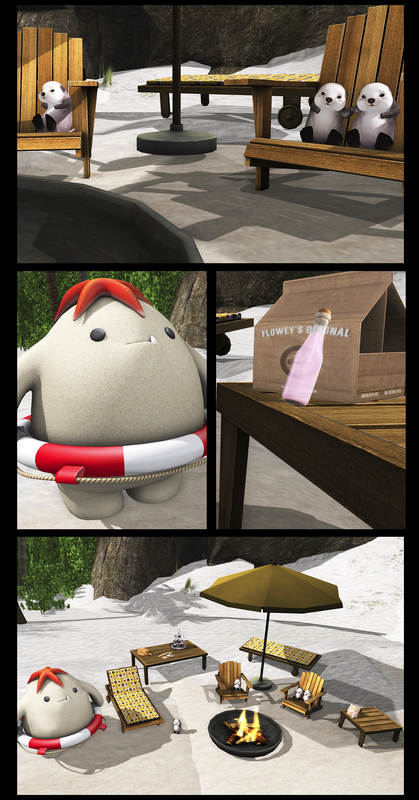 ), :FANATIK:, BAZAR, BCC, Cosmetic Fair, Decoy, Fanatik Home, Flower Child, Flowey, Glam Affair, Leo-nt, Maxi Gossamer, MishMish, N-core, Sea Otter, Second Life, Shabby Cat, Summerfest, Sway's, The Arcade, The Thrift Shop, Truth. Bookmark the permalink.